The WISE-4000(D) module is an smart analog and digital IO GSM/GPRS programmable automation controller. 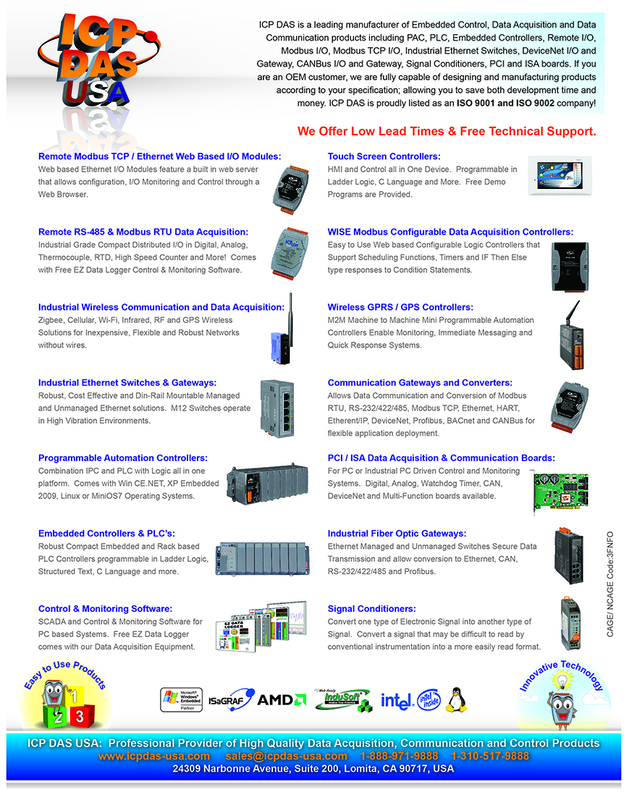 It features easy-to-use interface, WISE logic rule engine, built-in IO, and communicates over Modbus TCP. 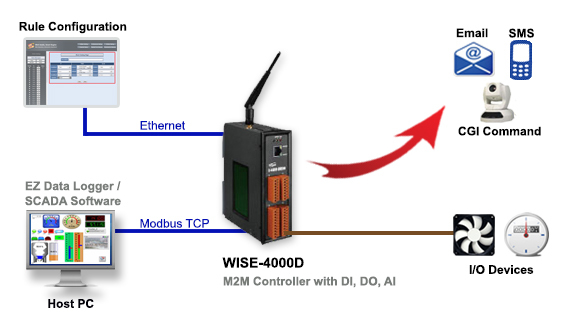 WISE-4000 can send out Emails, SMS text messages and CGI commands for alarm status.